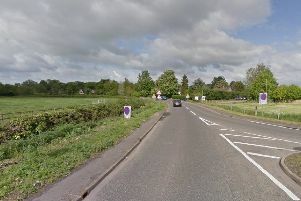 The pedestrian killed in the car crash in Thurlby near Bourne last week has now been named. Francisco Gonzalez, 59, from Spain, was in collision with a gold Ford Mondeo just after 8pm on March 21 on the A15 Bourne Road. He was given first aid at the scene but sadly pronounced dead a short time later. His next of kin have been made aware. Following on from our original witness appeal police are keen to trace a motorist in the area who officers think may have witnessed the incident. If you are that driver or were in the vehicle please contact police as soon as possible on the witness hotline 01522 558855 or 101.